It’s time once again to return to the wonderful world of iPhone rumors. Will the new model have a faster processor? Will it come out in October? Will it come in mauve? Meanwhile, Universal makes its movies more…well, universal. The remainders for Monday, April 9, 2012 have, in their lifetime, mongered rumors, cheese, and fish. 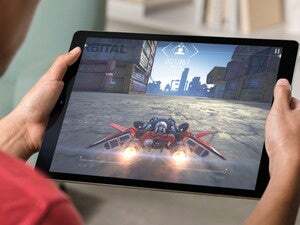 The latest whispers have the next model of Apple’s smartphone gaining a version of the A5X chip used in the new iPad, notable mainly for its high-end graphics performance. I’m betting on a new feature where you can arrange iPhones in a grid to create a super Retina display. Movies from Universal Studios are apparently finally taking advantage of Apple’s iTunes in the Cloud feature, meaning you’ll be able to freely re-download any films from the studio that you’ve previously purchased. 20th Century Fox is now the last hold-out from re-downloading—more like 19th Century Fox, right? Eh? PDF Converter for Mac 3 - Nuance has released a new version of its program that allows you to create, edit, and share PDFs. It offers direct connections to cloud services like PaperPort Anywhere and Evernote, and includes a feature to automatically convert PDF and scanned paper forms into electronic forms, as well as OCR capabilities. $99. Virtual TimeClock '12 - Redcort Software’s timecard-management program now sports a redesigned interface, along with new features. The software now has support for QuickBooks, a new Configuration Center for setting up the program, and new security features. User interface enhancements include personal time clocks, new administrative toolbars, and more. Pricing starts at $99.